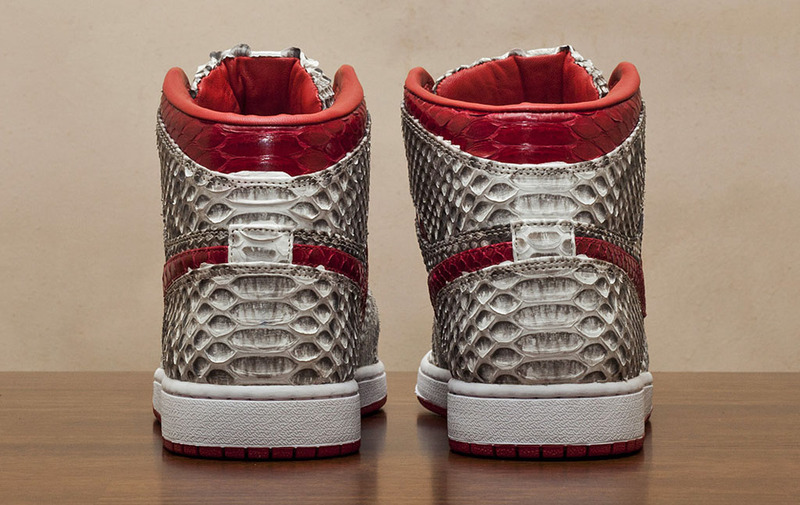 Jake Ferrato set to release his latest custom Air Jordan 1. 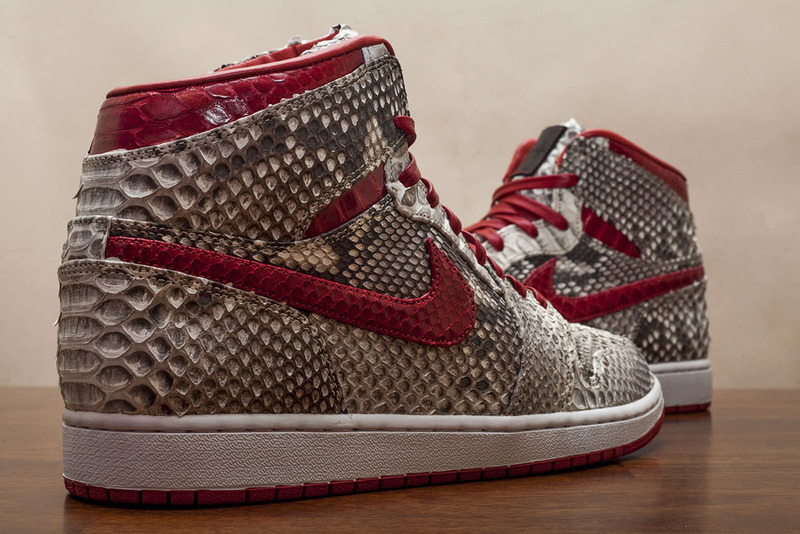 Always armed with a fresh custom, Jake Ferrato of JBF presents the ‘Natural + Metallic Red Python’ Air Jordan 1. 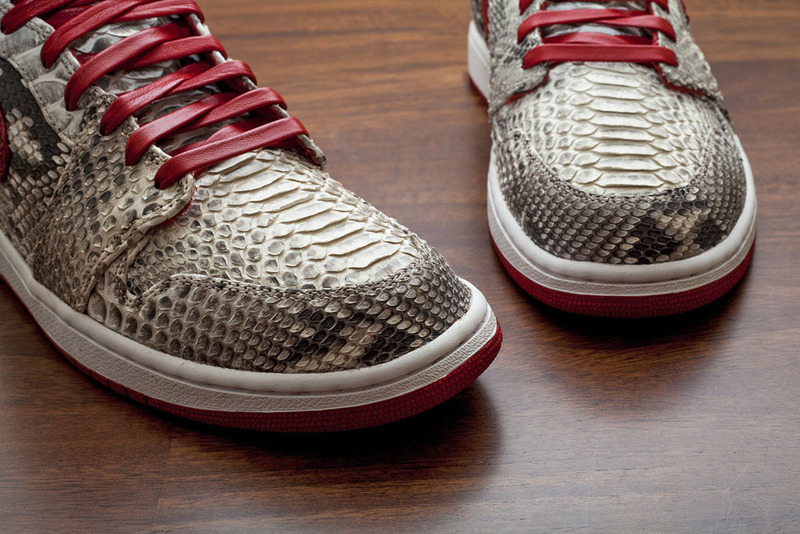 The shoes were reconstructed using genuine python in a natural and metallic red finish. Red lambskin liners and Aglit Italy laces add to the luxury aesthetic. 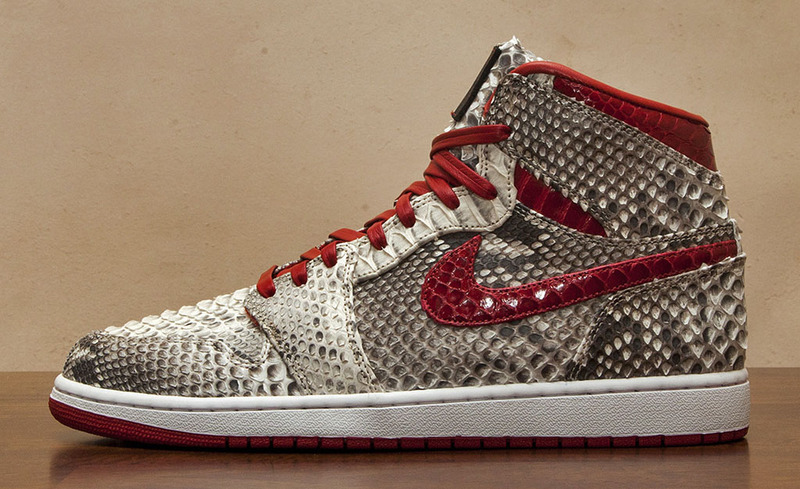 Five pairs will be released this Thursday, October 30 at 1 p.m. EST at jbfcustoms.com.